So, you want to learn military time? First, let us review what it is. Military time is the timekeeping system in which a single day is evenly divided into 24 hours and spans from midnight to midnight. The notation of military time is indicated by the number of hours that have elapsed since midnight (12:00 AM). At midnight, the military time clock begins at 0000 and the final minute of the day is at 2359 (11:59 PM). Though this timekeeping system may seem foreign to those who live in the USA, it is the most common timekeeping system in the world. In the United States, military time is used by Military, Medical, Emergency, and Technology organizations due to its accuracy and simplicity. To learn military time at a basic level all you need to do is master the simple conversion process. 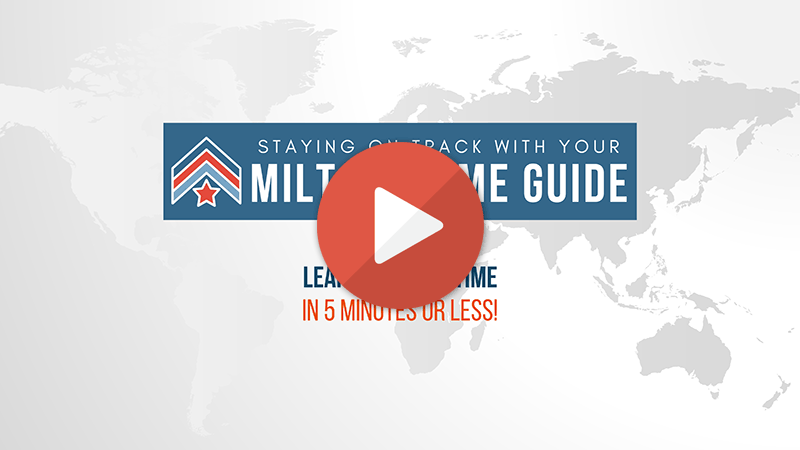 Depending on the time of day (Before Noon or After Noon), you can use our quick and simple tips below to effortlessly convert standard AM/PM time to military time. Commit the following 3 tips to memory and you will be able to convert military time on the fly and even teach others to learn military time. Converting military time is simple. It is a 2 step process to convert standard time to military time. In just a few seconds you have converted your standard 12 hour time into military time. A. 9:46AM = 0945 military time. B. 12:13PM = 1213 military time. A. 2:51PM = 0251 + 1200 = 1451 military time. B. 9:28PM = 0928 + 1200 = 1128 military time. In the absence of a digit add a zero to the beginning to maintain 4 digits. This will only come into play between 12:00 AM and 9:59 AM. All other times of the day will always have 4 digits after conversion. Getting started learning military time is as simple as memorizing the 3 rules above. Once committed to memory, you will find that you can always know what time it is! We have an extensive library of information, tools, calculators and more regarding a wide array of topics relating to timekeeping. Below you will find links to these resources. We encourage you to explore, share them, and use them to better your understanding of timekeeping! Military Time Chart – Printable charts to post to your message board, calendar, or schedule for quick conversion of military time. Military Time Converter – Automagically enter any standard AM/PM time and the tool will instantly convert it to military time. Also, download excel spreadsheet templates that serve the same function! Military Time Clock – A real time clock that takes your current local time and shows you what that looks like in military time. Read and Pronounce Military Time – A comprehensive guide on how to notate, pronounce and use military time. Military Time Zones – Military has time but they also have codes for time zones. If you really want to get serious about timekeeping give this a look! Midnight Military Time 0000 vs 2400? – An overview of when to use 0000 and when to defer to 2400. It is not as daunting as it seems!